Registration will charge the $300 deposit. Balance of $2099 will be due June 15th by check. 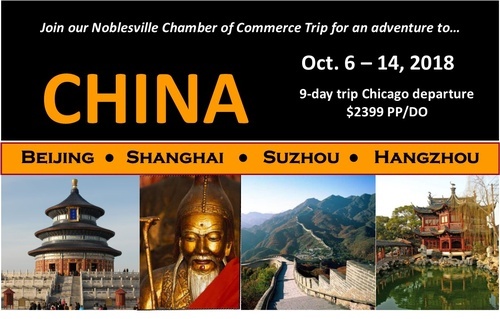 Our trip will take us to Beijing, Shanghai, Suzhou, and Hangzhou.... we will visit Tian An Men Square, Forbidden City, Great Wall, and the Bund. Along the trip we will tour many traditional artisan and craft manufacturers i.e. silk, embroidery, pearl, and jade. Our trip will close with a visit to the Pudong Economic Development Zone - an economic powerhouse in China.